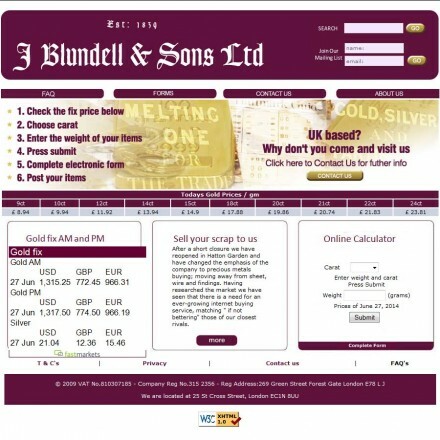 Click UK scrap gold buyer listings for reviews, information, map & contact details. 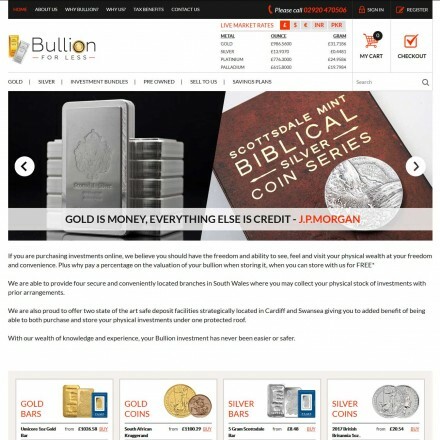 Bullion.Directory lists scrap gold specialists, cash-for-gold companies and bullion dealers who alongside their regular business of selling precious metals, also buy scrap gold, unwanted jewellery, bullion bars and coins. 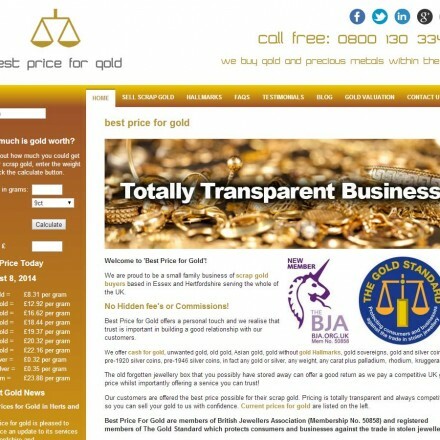 Read UK scrap gold reviews or leave ratings and reviews for UK gold buyers with whom you’ve dealt. Your reviews will help others find the best company to work with and avoid those with service issues. All the companies listed above buy scrap and unwanted precious metals – some operate nationally by post, offering an online or telephone quotation service, while others sell locally from a retail or office location. Many companies do both. 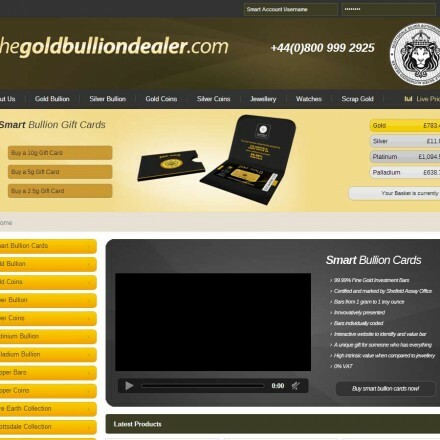 Selling gold is always easy because gold – even scrap gold – is inherently valuable. Step 1: What Type of Scrap Gold Do You Have? How to get the best possible deal for your gold starts with the type of gold you’re selling. While gold is gold, a gold coin will typically be worth more than a broken bracelet of the same weight – so depending on what you have, selling as scrap may not always be the best option. Old gold and silver coins can be valuable, in some cases very valuable – so will often be worth far more than their scrap value. If you have 1 or 2 gold or silver coins, or even a small collection, you will absolutely get the best price at a specialist. Coin specialists or numismatists can appraise your collection quickly and give you an approximate indication of value from a photo or photographs. 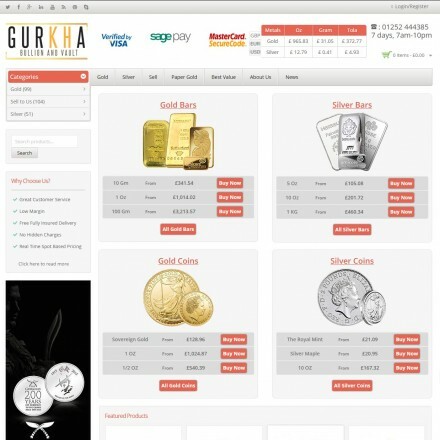 We list most UK numismatic dealers here. They will be able to tell you quickly if you have any special coins – with some rare coins being worth hundreds of times more than their weight in gold. Most of the best known numismatic dealers will also be able to buy non-coin precious metals, having built preferential relationships with the big gold refineries and so tend to offer very fair prices. Our 4-times UK Bullion Dealer of the Year, Chards would be a excellent place to start. If you have any bullion bars, you will be usually be better selling these to a bullion dealer, rather than a cash-for-gold site. 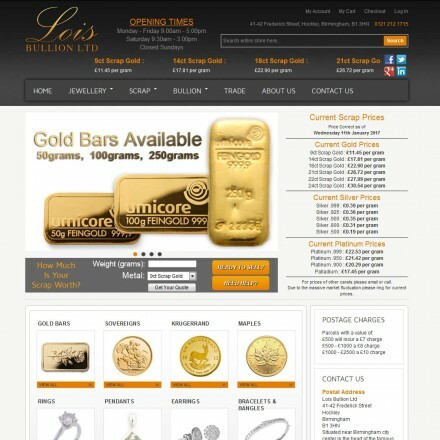 Nearly all local and national bullion dealers will buy bullion bars from you in any condition. Bullion bars are also very easy to research as they will carry a manufacturers name, a weight and purity. Simply run a web search on the maker name and weight and you’ll get a lot of information and current values. If your bullion bar is marked 999 or 9999 it means it is 100% gold. 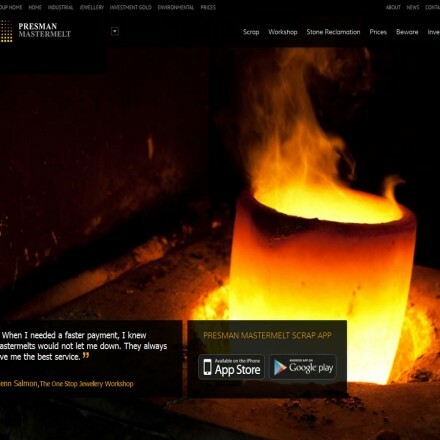 You will therefore get almost the full melt or scrap value of it’s weight, minus any re-refining or testing costs. With some cash-for-gold companies you’d be lucky to see 30% of that. Quality jewellery is always going to be worth much more than scrap, due to the craftsmanship and design element of it’s value – so before selling your gold jewellery for a low scrap price, have a good look at it. If you can see a recognisable brand name, if the jewellery has a real quality look about it – and if the hallmark says the gold is 18k then chances are fair it has more value than you’d receive having it melted for scrap. Bring the jewellery to at least 2 jewellers and ask their opinion. Many smaller and family jewellery businesses will value and buy pre-owned jewellery – and even if they don’t, ask if it’s a good piece. Tell them you’re considering selling it to a postal cash-for-gold company and see what they say. If the jeweller says the jewellery is good and gives you a valuation, you can either sell it to them or list it on an online auction site. You will in all likelihood get more money for it than you would for scrap. This is now scrap gold in it’s truest sense. Any damage will not likely be worth repairing, missing stones replacing, or it’s simply of such a low-grade that there’s no additional value to it over it’s scrap content. First thing you must know is that gold recycling companies do not buy stones and some will even deduct money to remove the stones. But that’s not to say the stones have no value. There are companies who will buy your loose stones (the same companies the scrap gold dealers DO sell your diamonds to). Companies such as White Pine Trading will happily buy any number of loose diamonds from you at a fair market price. If this appeals, you will need to carefully remove the stones from your jewellery (there are a number of online video guides available on YouTube) before you can sell the now purely scrap gold. For others this is a hassle too far, and the gold is sold with stones included. Dental gold is surprisingly valuable. Although the purity used can vary widely, dental gold is usually a fairly pure alloy – used because pure gold is an unreactive, relatively soft metal – perfect for in the mouth environment. Dental gold can consist of gold teeth, gold caps, gold crowns, dental gold casting and gold bridges – and while silver platinum and palladium may also be used, gold is the most common precious metal in dental work. Traditional acid testing can be ineffective with dental gold, so not all gold buyers will accept it without running further more complex tests. Ornaments can be made of solid or hollow gold, or contain solid gold elements. When the ornaments become damaged beyond repair or are no longer wanted, the gold content can be sold as scrap. Typically these are of lower purity than 18 or 24k as lower purity alloys are stronger – something that’s important in ornate ornaments such as statues that could easily be damaged when cleaning. Once the gold is separated from the non-gold elements, weigh the gold as with any scrap. With a metal as valuable as gold every single gram counts – so it’s important that you try to weigh your gold as accurately as possible. Under measure and you could lose out if the buyer doesn’t let on that you have more gold than you expected. Over measure and you may feel the dealer is being dishonest when they are not. 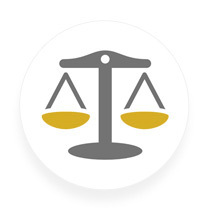 Modern kitchen scales can be very accurate measuring down to the nearest gram, which gives sufficient accuracy for some, but if you have any volume of scrap gold it can pay to buy inexpensive gold scales online for as little as £6.99 – scales that measure down to 0.01g accuracy!. Look at any hallmarks on your scrap and separate the 9k gold into one pile, the 18k into another and so on – before measuring the weight of each pile. 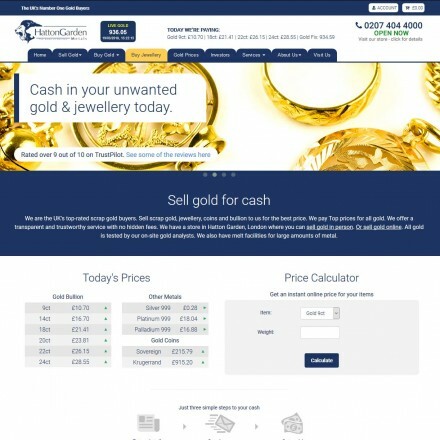 When you approach scrap gold buyers in step 4 you’ll know exactly what you have and can easily compare prices from one dealer to the next. If you’ve not already sold your coins to a numismatic dealer or your jewellery to a jeweller, its now time to find a scrap gold buyer. As mentioned at the start of this guide, selling scrap gold is easy – however, finding a buyer who will pay a fair market price is much harder. This is because the UK gold market is unregulated – which means anybody can buy and sell precious metals at whatever price they want with little comeback outside of regular consumer protection laws. And the scrap gold market can feel like the Wild West. 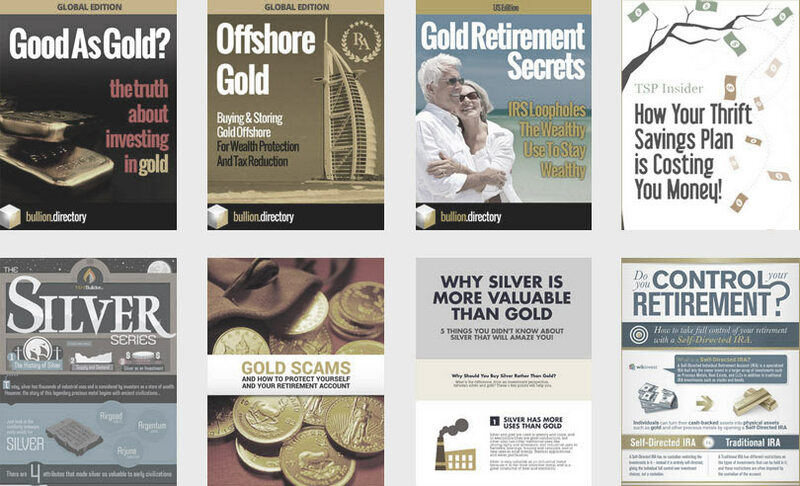 On the precious metals investment side of the market buyers and sellers have a very good knowledge of the current gold price, and so large scale retailers and investment gold brokers have to buy and sell at very close to the day’s gold price or they’d get little to no business. But cash-for-gold dealers tend to operate at the opposite end of the market where consumers have little knowledge of gold’s value and are happy to get anything for their gold when times are tight. This lack of regulation and lack of consumer knowledge surrounding a highly valuable commodity has naturally led to some less than honest companies opening up and offering prices far below the going rate. 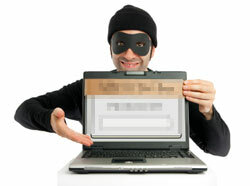 In the age of the internet, this dealer dishonesty has been taken even further, where a dealer will set up several companies, then set up and promote an “impartial” review site giving their related companies great reviews, while putting terrible ratings at the doors of their genuine competitors. Although this has been covered at length in the press and is illegal in the US – it’s unfortunately an ongoing problem here in the UK. To sort out the good from the bad, read our cash-for-gold reviews and those at other genuinely impartial consumer websites, such as Money Saving Expert and Which? or at general directory sites with specialist categories like FreeIndex. After looking at our reviews and those on other sites you should have a shortlist of at least 2-3 companies. Phone them up with your weights and purities and see what they would offer you. 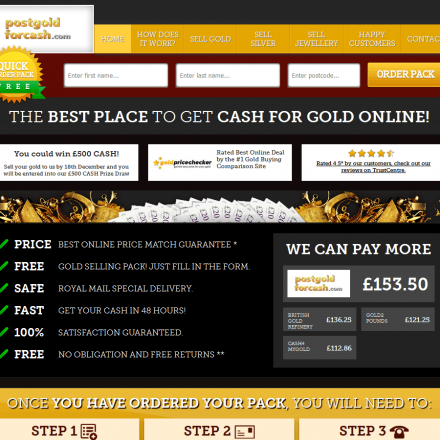 Alternatively many cash for gold sites have on-line calculators where you simply enter the weight in the correct purity column and the site tells you what the company will pay. 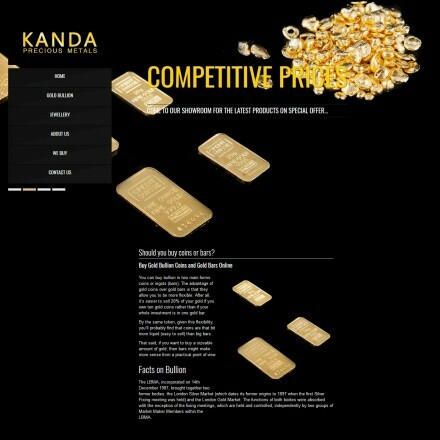 If you’re happy with one particular company and it’s price you can then send them your gold. Some companies offer a pre-paid envelope service and others don’t – so it’s important to factor in the price of sending insured and signed-for mail. As soon as the company receives your gold they will check the weights and purities using specialised testing equipment and get back to you with their formal offer – which provided you measured and categorised your scrap gold accurately should be similar to the initial estimate. 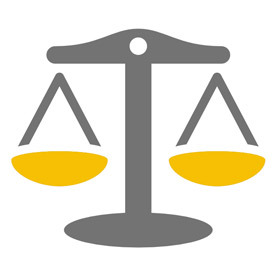 Some companies are notorious for offering much less than the initial estimate and then being slow to return the gold – these complaints are very well documented, so as always make good use of our reviews and those on other consumer sites. 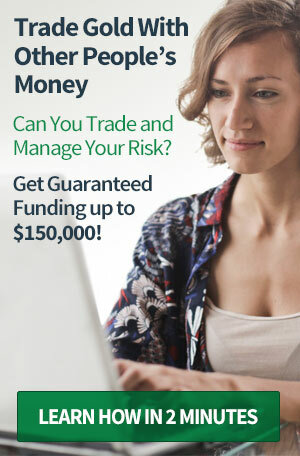 Provided you are happy with your price, you agree to the trade and then you’ll be paid – this often happens the same day or at least within 24 hours. This transaction speed is due to the volatility of the market, where due to operating on such tight margins, the dealers who pay you the most can make a loss if the gold price drops more than their small profit before they can sell onto a refinery. 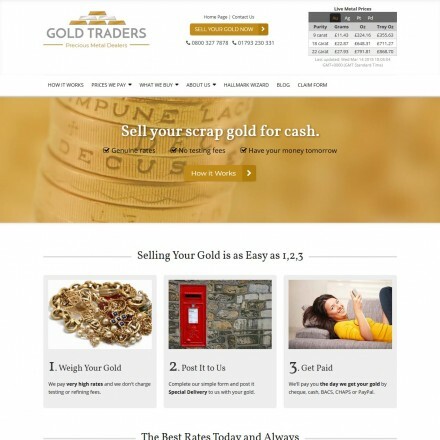 By following these simple steps not only will your selling scrap gold go smoothly, but your UK scrap gold dealer will have given you a fair market price. 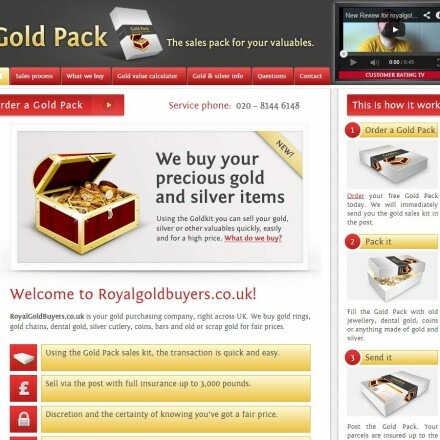 Once your sale has gone through, please rate and review your scrap gold dealer here – whether the service you received is excellent, average or poor, your review will help countless others in their search for a trustworthy company.